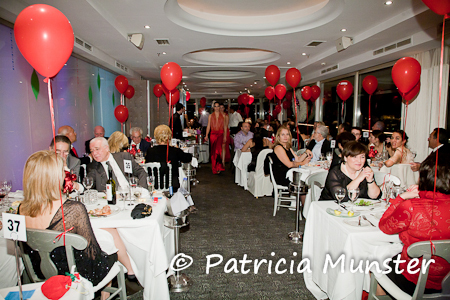 At Christmas' Eve Melina Pispa showed a glimpse of her winter collection 2010/2011 in the ambiance of the evening at Saint George Lycabettus Hotel during the Red Fashion Dinner. 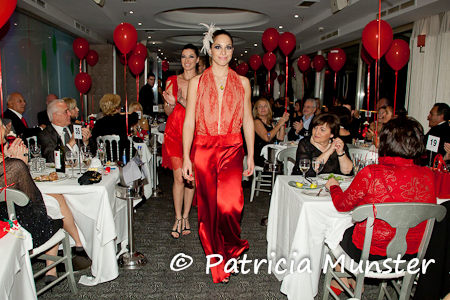 Angela, Vasso and Effie for Alice Model Agency showed the creations of Melina Pispa. Chiffon, velvet, satin and lace are the basis of this 'red' collection. The jewelry is by Argyro Vlavianou, the hair accessories by the designer herself and the make up by Dionissia Konstantinou. Melina Pispa with the models.